Over the past week, the sewing community has buzzed with the discussion of inclusive sizing in sewing patterns. Or, rather, a continued lack of inclusive sizing. This conversation was kicked off by a public comment trail filled with designers explaining why they don’t offer more comprehensive size ranges. We won’t link to the post here, because there is no need. These are the same excuses we’ve all heard for years—lack of demand, complicated fitting needs, too much of a learning curve. They are, quite frankly, the same sort of nonsense that led to the creation of this very website five years ago. Over the past week, brilliant plus size sewists have refuted those tired excuses, exposing them for what they are: the words of an industry not trying hard enough. When the average American woman is a size 16/18, you can’t tell us there’s a lack of demand. When women are already running successful plus size pattern companies, you can’t tell us our bodies are too complicated. The response to those nay-saying comments was swift and definitive. We aren’t buying the excuses…and we aren’t buying your patterns either. The above bloggers are also active and vocal on Instagram, where much of this discussion unfolded. If you’d like to follow along with these conversations, as they’re continuing to play out, we recommend following: Shannon – @rare.device, Emily – @the_catwood, Sierra – @SierraBurrell, Whitney – @whitneyknits, Jacqui – @jacquelinecieslak, and Thandi – @thandiwh, along with numerous other active members of the sewing community and our own editorial staff. Here’s the thing, though. This time? Companies are actually listening. Many popular independent pattern companies got the message. Across social media, designers are announcing plans to expand their size ranges and highlight more diverse, size-inclusive bodies in their advertising. We understand that time and investment are necessary to make these changes happen, especially given the small margins of the independent sewing industry, but we applaud any designer willing to listen and improve. 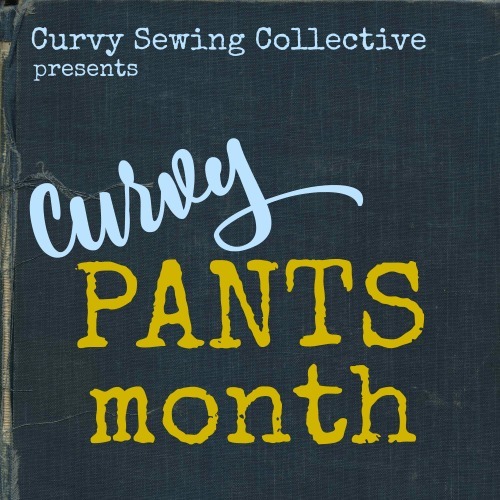 At the Curvy Sewing Collective, we believe that sewing is for every body. Plus sizes are not a niche audience, but the very heart of the market. We eagerly await the follow through on these promises and will keep you updated, as improvements begin. In the meantime, what can we do? 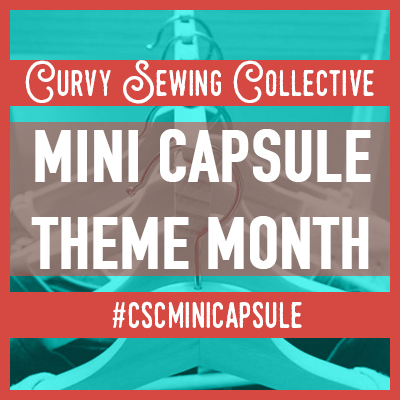 Well, here at the CSC, we’ll continue providing education, community support, and resources to plus size sewists. That means reviewing more patterns from size inclusive companies, sharing thought-provoking pieces from curvy sewists, and posting in-depth fitting tutorials for plus size bodies. We would love it if you joined us in these endeavors, whether that’s by contributing a review of your own or sharing your makes in our Facebook community group. If you are a pattern designer looking to expand into plus sizes, welcome! There are tons of resources available to you at the CSC, as well, from updated lists of plus size bloggers to a comprehensive sizing survey of our community. You are also welcome to post pattern tester calls in our Facebook group, as long as permission is given from a moderator first and other community rules are followed. On an individual level, we should also recognize the powerful effect of community building in online spaces. That very community is what creates real change and sparks action in the companies that serve us. 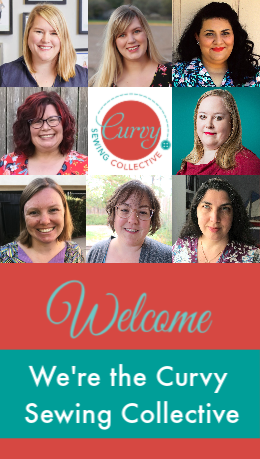 In order for the sewing community to accurately represent all of its diverse, talented members, we should try to expand our own networks and connect with fellow makers. If you’re on social media, we encourage you to follow these other groups boosting the visibility of intersectional crafting: Meet Makers of Color, Sew Queer, Chronically Sewn, and The Sewcialists. Finally, the very best thing you can do for the plus size community is this: keep sewing! Support designers who already offer comprehensive size ranges, share reviews of patterns you love (or those you don’t! ), and give the online world the gift of your voice. We cannot wait to see what you make next! « The CSC tackles the 2019 Make Nine Challenge! I wondered if others have noticed another “problem”. I will skim over the size ranges offered and find that there is a 3X, happily going to body measurements only to find that it is a 47 ” hip or some such thing. Probably exaggerating here but I find this discouraging. Kudos to those designers that make larger sizes available and those who have announced plans for extended sizes. It’s all about the money. Pattern companies do not view the plus size community as a money making target market. I think the key to reaching them is to convince them otherwise. The Indie companies who target the market might be able to provide income received or percentage of total income received from this market. There’s more than one way to skin a cat. LOL. One of my favorite quotes, since I don’t like ‘No’ for an answer!! There’s always MORE THAN ONE WAY TO SKIN A CAT!! I have found this whole discussion disturbing. I read most of the instagram comments and had to leave. Let me say here that I am 61, 5’4” tall and wear a size 20/22. I am part of this size. It would be nice to have more plus size designers, but I struggle to see how a designer that is not plus size can truly understand how to design for the plus size. Also, I am really disturbed by the sense of entitlement some commenters had towards those companies. Just because we want designers to design for plus sizes does not mean they are obligated to do so and that is what I was reading. Surely there has to be a better way to get companies to design plus sizes than shaming them into it? One of the things that was reinforced to me in reading some of those links is that these writers aren’t expressing entitlement. They are expressing that they’ve been erased and excluded in much of the sewing and crafting world. When these designers whinge about how hard doing a plus draft would be, they are basically saying they don’t want to hear from bodies outside the mythic norm, that these bodies aren’t worth the time and effort to make a product that the people would pay for. This isn’t about doing the fatties a favor (sorry to put it crassly, just saying what they think); it’s about creating a customer base that could make the designers more money. And many of them aren’t willing. That’s an excellent point you made. In RTW and the designer realm, the VAST majority of clothing designers are men and they are primarily designing for women. Plus sized bodies aren’t a monolith so there’s no “right” way. You make a decision (e.g., Cashmerette’s intentional designs for ‘pears’ and ‘apples’) and you go through the drafting/revision/testing process. I’m pretty sure no one would suggest that plus sized pattern designers can’t design for straight sizes?? I saw your reply a few days ago, and I’ve been thinking about that last question. Would someone suggest a plus designer couldn’t design for a slim or “regular” sized woman? And honestly, I truly can picture someone saying that. There’ve been comments at pattern review in some posts or reviews on fitting issues, and there have been occasions when a slim woman posts photos asking what’s wrong with her garment– why are there drag lines, why does it pull here, and so on. If someone replies who is plus sized and says that the garment is too tight, there is almost universally comments that follow up that that person doesn’t understand body conscious clothing or being proud of your body and wanting to show your hard work. I’m glad to see that more plus-sized sewists are finally starting to say that we won’t buy your patterns if you aren’t going to include us. We had this discussion here a few years ago, and so many comments were that we should buy the patterns anyway, and when the designers see what a great job we do, it will incentivize them to extend their sizing. To which I called shenanigans. If we give them our money and do the work ourselves and then give them free publicity, we have disincentivized them doing the work because we’ve shown that we’ll do the work for them and still give them our money. It’s heartening to see the general consensus has changed, and more people are calling designers out on their lack of inclusion of larger sizes– and on how BS their excuses sound. Agreed. I say, let’s show the industry by simply buying from pattern designers who DO make plus-size patterns and understand the plus size, curvy body in our various shapes. I’m 3 different sizes, if you believe the McCall’s, Simplicity, Butterick envelopes. I don’t even think Vogue acknowledges our existence, other than to hautily look askance at our voluptuousness, with disdain, as if to say, “She doesn’t need to look that way if she’d just stop eating.” When asked how to alter a pattern for full bicep, a well-known pattern designer with a television show who had a booth at a sewing expo had a very dismissive answer for me. I felt as if she couldn’t get rid of me at her booth quickly enough. Nose in the air. Thank you for this overview, Mary. I have so much appreciation and admiration for all the sewists who have been advocating this week (and indeed, for years) for sewing for every BODY and size inclusivity. CSC has meant so much to me on my sewing journey – it really helped me to have this resource when I was starting out. I have been reading the comments in this ongoing debate over in social media land and am quite perplexed – there are heaps of Indie PDF designers that offer outer sizes. The tone of alot of the conversation is that the choices are like a barren desert. 😯 Quite the oppodite infact. Hey Erin! Thanks for your comment. While there are plenty of inclusive pattern companies out there, it’s also true that many of the most popular, most hyped indie companies have clung to their original, narrower size ranges. (These are also many of the companies that were involved in the post that sparked this conversation, in the first place.) The reason this is destructive is that, even though there may be other companies with better size ranges, the sewing community latches on to these patterns and recommends them as staples or go-to patterns. Want a button up shirt? Grainline Archer. Want a fancy dress? By Hand London Anna. Want jeans? Closet Case Gingers. These are some of the most successful independent patterns, those that get recommended and posted again and again, but they don’t work for most plus sizes. Imagine the newbie plus size sewist who comes to our community, gets excited about all of these patterns, then realizes that without a huge grading/alteration skill set, she or he can’t actually make any of these garments. That’s super bleak and worth changing, especially when you consider the average American woman is a 16/18. Luckily, speaking out is working. These are also the very same companies expanding their size ranges, after this round of criticism. This week alone, Closet Case, Papercut, Blank Slate, By Hand London, Sew Over It, and so many more are announcing plans to expand their size ranges. That’s not to mention the other companies–Grainline, Helen’s Closet, Jennifer Lauren Handmade–who already saw the glaring problem and had begun the process of fixing it in their own lines. To your point, it makes it all the more important to support inclusive companies putting out quality products. We should shout our favorite inclusive patterns from the rooftops and get those into the mainstream recommendation pool, as well. For your list – PatternReview has released a number of patterns over the last few years. The one I have goes up to a size 32 (58-50-60). This is a great post. I’m a big believer that we can all do better at building a truly intersectional community. These are such important conversations we’re having. However, I can’t help but notice that your editorial board both past and present is very…um…well…white. I wonder if this is an area where CSC has some room to do better. In my professional life I’ve heard a lot of excuses for why there aren’t more women or POC on boards and the excuses are always things like “there weren’t suitable candidates in our network” (so grow your network), “we asked (the one and only) person we knew and they said no” (again, grow your network and ask them for references), “but we already have one or two people who tick all the boxes” (that’s tokenism), or “but we have a more diverse group in ______ roles” (you should have diversity at every role, especially the decision making ones). Anyway, i make this suggestion with great respect for what you do and how you have grown a wonderful community, and I hope you will think about how you could make it even more inclusive. Thank you so much for your prescient comment, Clio. You are, of course, absolutely correct. The homogeneous nature of our editorial board is something that we are acutely aware of and that remains a major problem in representation for the CSC. Though we have tried to address it, getting busy people to sign on for the time commitment of this role is always a stumbling block, but as you say that’s just an excuse and one that we’re not okay with. We have to do better. This is something that we are committed to making a top priority, going forward, as we look to what kind of larger changes to make in the CSC structurally. Thank you again for the much deserved critique. Thank you for listening. I’m so glad to hear this, although I would expect no less of such a thoughtful group. Maybe I’m out of touch with the PC culture, but I don’t really see what skin color has to do with a curvy sewing community. Telling someone they need to have more diversity on their web team just because they’re too white is like going around telling your friends that they need to collect more Asian friends or more Indian friends because they know too many white people. This blog is about positivity and accepting our bodies, and it does a wonderful job of bringing up important topics for a plus size sewing community. We all share the same agenda here, regardless of race or background. I usually don’t like commenting on topics like this, but I just wanted to show my point of view. Hi Sophie – I’m not sure what you mean about PC culture; I have no interest in any kind of performative political statements. But, to your point, pointing out to the editorial board of a collective – whose expressed purpose is to bring together and build a community and which in this very post calls for more inclusivity along the lines of race, gender and orientation, and ability – that they are not actually reflective and representative of those things and the very community that they mean to create and serve is nothing at all like telling someone that they need a more diverse group of friends in their personal life. Just as this collective does a wonderful job advocating for the businesses that support sewists to be inclusive of plus sized sewists, it is thoroughly appropriate for they themselves to be inclusive of the full diversity of the community they represent. But, if you truly mean it – that “we all share the same agenda here, regardless of race or background” – why does my respectfully made suggestion that this board practice what they preach and build a more diverse editorial team that reflects their community bother you enough that you felt a need to comment on a topic that you say you don’t like commenting on? What got me really mad was designers saying our bodies need so many adjustments and that it would be too complicated. I am a size 18/20 and hardly ever need any adjustments but some of my slim sewing friends need to do tons. We are not weird, it’s just that nature loves variation. On top of that curvy sewers have learned how to do things like FBA. If a company can’t offer more sizes because they can’t afford to or don’t know how to do it, it’s a pity but I understand. But don’t blame us – we already get enough of that everywhere else. I no longer buy from companies that don’t offer larger sizes or who do but never feature our makes on their social media. We aren’t so ugly that we need to hidden. Great post and I lovelovelove your website!!! Thank you for your comment, Nanna! I completely agree–the reality of sewing is that everyone needs alterations. No body is standard and that doesn’t change as you go up and down in sizes. Getting to start off with the correct base size is a privilege, though, and something we should reasonably get to expect. I’m with you. If I’m the biggest size you carry, it doesn’t make me want to buy your product. They are designers. That’s their job. If they are too lazy to work with the women who spend money for them to make a profit, then they should look for a new job. The excuse that it’s too hard to design for “omen whose bodies are shaped different than the ones I want to design for” no longer has any significance in my life. Kamen, that is a perfect response! How on earth do people think maternity wear gets made, if no one is willing to design for it? Ugh. I took a drafting class a few years back and was shocked to encounter exactly what you reference. I thought that surely we’d learn comprehensive drafting at a professional level, but every corner of this industry seems insistent that most women are actually a size 6 and never fluctuate from that. It’s infuriating! Hopefully, having people like you in the industry will work to change that over time. This industry needs an even harder kick in the derrière regarding nursing clothing. All clothing industry really. If I could make a law it would be that no company is allowed to sell baby/children’s clothes or patterns if they don’t provide maternity and nursing. And not nursing clothes that also double as maternity, there are babies being breastfed beyond a few weeks, plenty of them really. Hi Elaine! Thank you so much for your comment. I actually read Leimomi’s insightful post, before writing this blog, and she’s the reason I referenced the time and investment that it takes indie businesses to have comprehensive size ranges, as well as the small margins they operate on. We are certainly sympathetic to the realities of independent pattern companies, but as an organization that supports plus size sewists, we also believe that catering to the majority of the market (in the US, this is roughly size 10-20) is actually in the best interest of many designers. As consumers, this makes it doubly important that we do seek out companies that make this choice and support them over their less inclusive peers. We applaud designers, like Scroop, who believe in inclusive sizing and are transparent about what they do to achieve that goal. You missed listing LOVE NOTIONS , run by Tamy Myers. Great selection, support, updates. My wardrobe is full of them. Thanks for the tip, Primrose! We have a few companies to add to our list and Love Notions will definitely be one of them. I’m glad you’ve had such good luck with their patterns! Thank you for this thoughtful “letter”. It states so well what so many sewist deal with in choosing new and exciting fashion. Thank you, Walker! I’m glad it resonated with you. This!!! This is class response, Mary and this is why I’m a fan! >>the very best thing you can do for the plus size community is this: keep sewing! Support designers who already offer comprehensive size ranges, share reviews of patterns you love (or those you don’t! ), and give the online world the gift of your voice.